Celeb Gossip News – Bohemian Rhapsody box office takings: How much money has Rami Malek film made? Bohemian Rhapsody follows the life of singer Freddie Mercury, from joining the band in 1970 to their Live Aid performance at Wembley Stadium in 1985. Critics greeted the much-awaited biopic with mixed reviews: some loved it, some thought it fell flat. But that hasn’t stopped it receiving top billing in this season’s award lineup. How much has Bohemian Rhapsody made? 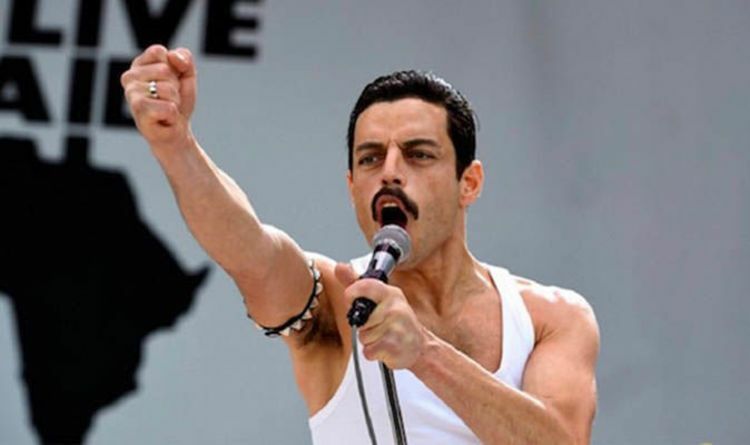 Bohemian Rhapsody is still screening in cinemas, so the earnings are still coming in. But as of February 7, the worldwide total was £644,644,356 ($ 834,847,710). Domestically (in the USA), the film has grossed £161,587,716 ($ 209,264,432), with the rest of the sum made up of international audiences. The second-highest grossing county for the film is South Korea, raking in £59,041,769 ($ 76,462,138) so far. The United Kingdom follows, with £52,473,689 ($ 67,956,136) grossed to date. These numbers make Bohemian Rhapsody the highest-grossing music biopic of all time, overtaking 2015’s Straight Outta Compton. In fact, Bohemian Rhapsody took more than three times more than Avengers Infinity War in Japan. Avengers Infinity War tool $ 33million and Black Panther languished on $ 14million, while the nearest Hollywood blockbuster is Jurassic World 2 on $ 72 million. But the film’s production has faced some controversy as well. The original director Bryan Singer was fired from the production amid reports of major problems with the cast as well as sexual abuse accusations. Singer is facing multiple accusations of sexual abuse, some against underage young men. He was fired from Bohemian Rhapsody following tensions on set and failing to turn up for work and lead Rami Malek has stated he was unaware of the other accusations at the time. The actor told the audience at the Santa Barbara Film Festival (via The Hollywood Reporter): “For anyone who is seeking any solace in all of this, Bryan Singer was fired. He added: “I’ve sat here and talked about how everyone deserves a voice and anyone who wants to talk about what happened with Bryan deserves to have their voice heard.